It's that time of year again, when I go rushing over to Goodreads to check if I actually finished any books this year. Well, I did. Some of them I finished so quickly I didn't even note them on Goodreads. This was another year of heavy murder mystery reading, which is my go-to comfort genre. But then: at some point during one of the SFWA flaps (somebody again claiming women don't write science fiction, sigh), I read an article listing classic SF by women, and a lot of commenters were complaining James Tiptree Jr. was left off the list. It was interesting, because people zeroed in on her story "The Women Men Don't See", and my personal favourite by her is "The Man Who Walked Home", which didn't get any mentions at all. But it made me decide that I was going to go back to reading more SF in 2015. SF is my home base (which is different from the murder mystery comfort place — my literary geography gets complicated sometimes). It'll be good to go home. The big change in reading habits in 2014 is that I started writing more book reviews, mostly via Women on Writing. Despite the name and their focus, they also help promote books by men — including one of the books I reviewed. My stance on these reviews, and on all my reviews, has been to try and write something so that anyone who read the review would understand whether or not they would enjoy the book. Note that's not whether I enjoyed the book, but whether the people who like the sort of book it is would appreciate it. I was lucky; I've had a good run so far. There's only been one book I honestly couldn't picture for anyone, and it wasn't a WOW book (you can read back through my reviews if you really want to find out which one I'm referring to). The list below, though: these are the personal favourites from this year. Special thanks to Cindy Vaskova for compiling the 2014 reviews! 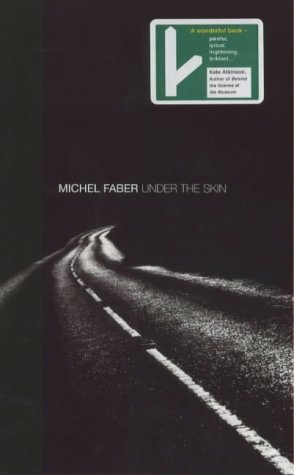 Under the Skin, Michel Faber I saw the trailer for the film made from this book, and decided I wanted to go see it. It was only when Cathy Cheshin asked me if I'd read the book that I really became aware that there was one. As for the old book/film conundrum, this is one of the rare cases where the film is a faithful adaptation of the book, yet experiencing the story in one medium first does not spoil the surprises waiting in the other medium. The film is a very pared-down version of the story — it tells you enough to be complete on its own without giving away what's in the book, and vice versa. The premise sounds like classic 1950s horror: an alien, surgically altered to pass for a human woman, roams the highways of Scotland picking up male hitch-hikers, so that her species can use them for their own ends. But the premise is flip-flopped by being narrated (mostly) from the aliens' point of view, and not the traditional Earthbound focus. That, and the incredible atmospherics the narrative provides, make this a truly amazing read. What unfolds is a thoughtful meditation on the twinned nature of brutality and kindness. It's a wonderfully black satire where no-one gets out unscathed: despite certain groups trying to claim it as a vindication of their beliefs (if that's not too much of a spoiler), I found it showed that simplistic moral rules were bound to backfire. And if that's all too heavy, it's just an excellent marriage of horror and SF. Murdoch Mysteries, Maureen Jennings I really love the TV series based on these books (currently airing on the CBC — not sure how available the streaming is outside of Canada, but I know people in the USA at least are watching them somehow). They cram in a lot of local history which seems to be made-up until one verifies it — the visit Winston Churchill made to Toronto as a young man, for instance, or the (very old, it turns out) belief in an ancient, underground series of tunnels networked under the present-day site of the city. The TV series has a dash of steampunk in it, but what's really fun is that the technology isn't that farfetched: a lot of it is based on gear that actually existed, but which turned out to be developmental dead ends. Main character Detective William Murdoch often uses newfangled contraptions to help him solve his cases. It was only a matter of time before I started reading the books, and I'm really enjoying them. So far I've read the first three: Except the Dying, Under the Dragon's Tail, and Poor Tom Is Cold. 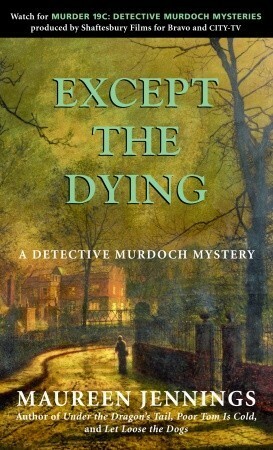 They don't rely on the cameos and the technology the way the TV series does — and while Murdoch does enjoy science and logic, he's a more realistic self-made man than his television counterpart. They are excellently researched, with often-grim reminders of what life was like at the close of the nineteenth century. One sub-plot involves Murdoch having an infected tooth which must be pulled. He keeps putting it off, until a colleague tells him of a woman who died of blood poisoning from an untreated tooth problem. Photography's almost a hundred years old, telephones are common if not ubiquitous, electric lighting is catching on, and it's still common for people to die from infected teeth. The thing is, Jennings is careful to treat the historical period as people during that time would have: just their everyday lives. As far as they're concerned, they live in a modern world with modern conveniences — for those who can afford them. It's a lot like our time that way. And, just as in our time, the solving of the murders often means Murdoch has to see past classism, sexism, racism, sectarianism... sometimes one wonders what has improved besides dentistry. One thing I enjoy (warning: I've seen people criticise the books for this same thing) is that Jennings shows events unfold from the perpetrator's point of view as well as the police's, and sometimes the victim's also. Characters will use their class or ethnicity to pull strings — or to make themselves invisible. Unlike some mystery stories, it's not unusual for the reader to know who (or at least who from a very short list) is the killer well before Murdoch does. The fun — and it is a lot of fun — is seeing Murdoch get there. Often the actual motivation is not revealed until the end as well, which means there are other plot twists and surprises in store even when you know who did the deed already. 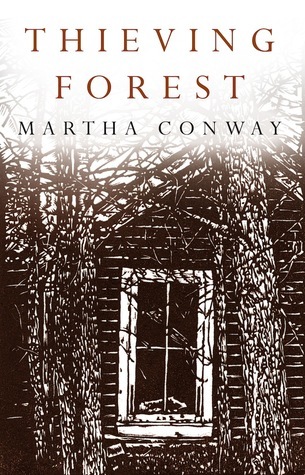 Thieving Forest, Martha Conway This is one of the books I reviewed for Women on Writing. To be honest, I almost passed it by: it's YA, and at the time it was offered I'd already reviewed about three YA titles in a row. I don't turn down books because they're YA, but I was in the mood for a story with more mature characters in it. The back-of-book blurb didn't grab me at first either. It's a story of the Ohio frontier in the early nineteenth century, about white, recently-orphaned teenage sisters getting kidnapped by Indians. My initial reaction was that it was going to be some sort of derivative of 1950s Westerns, including all the parts we cringe over. I wound up taking it on anyway, and... was very pleasantly surprised. Conway knocks over the racial stereotyping very early on — the truth turns out to be far more complicated than the surface "pioneers vs. Indians". There's a classic Midwest steadiness to the narrative voice, and the use of present tense makes for a very engrossing read. This is another historical which is very well researched, and it's the only WOW-related book I gave five stars to this year. 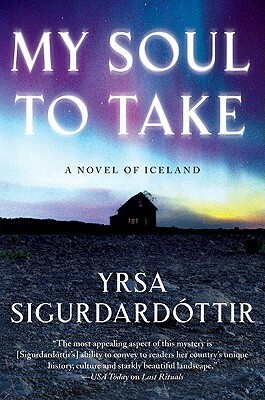 Please see my full review for more details..
My Soul to Take, Yrsa Sigurðardóttir I found out about this author on my trip to Iceland. Something to know about trips to Iceland: they do a better job than any other country I've been to of promoting all they have to offer in art, goods, geography, cuisine... the rest of the world could learn a lot about success through co-operation from them. Anyhow, since I already knew I enjoyed Arnaldur Indriðason's books, I figured it was well time for me to check out more Icelandic authors (three more so far in fact, but this post is already very long). I bought this book on my phone while sitting in a café in Keflavík airport, and read as much as I could on the flight home. This was a different sort of mystery from Indriðason's Erlendur novels. Sigurðardóttir's protagonist, Thóra, is a lawyer, not a detective, and not even a criminal lawyer. The murders all take place around an old farmstead which has been recently converted into a spa hotel, and whose owner has hired her to do some up some legal paperwork for him. However, like in the Erlendur stories, she finds herself needing to solve a cold case which has a direct impact on murders committed in the present day. What's really smart and wonderful about the plot is that she doesn't suddenly transform into Nancy Drew — she solves it the way someone with her established skills and background would go about it. Thóra has the cunning, stubbornness, and strong attention to details one would expect of a successful lawyer, but she's also a well-rounded character, who has to juggle phone calls with her two teenage children (who have decided to ride off in the family caravan because their father, Thóra's ex-husband, is too boring and annoying to stay with while she's working at the hotel). Besides being a good mystery, the book is a fascinating examination of how past and present, knowledge and mythology, all come together and clash over which of them get to define reality. Tinker, Tailor, Soldier, Spy, John Le Carré Count this as a book I should have read a long time ago. My prejudices tripped me up here. It's not so true anymore, but for a long time I accepted the stereotype that spy novels are by, about, and for men (funny, because I never accepted the mirror stereotype about romance novels). Le Carré's books were on the wire paperback stands of pharmacies and grocery stores everywhere when I was a kid. Sigh, yeah, I'm old enough to remember wire paperback stands, but hey, in my defence, I grew up in the country, and things change more slowly there. I just figured his books were the sort of disposable fiction one read in waiting rooms. So, now that we've established I'm an idiot... what nobody ever told me is what an excellent writer Le Carré is. The opening chapter of Tinker, Tailor is funny and affectionate with its characters, but with a sadness that acts as a wonderful foreshadowing for the events to come. The relationship of spycraft to psychology and to such supposed mundanities as library science is depicted with great wit and refreshingly plausible tension. The cascade of constant little paranoid details — checking to see if one's mail is being delayed, the piece of wood left in the doorframe to see if anyone's broken into one's house — build into such a complex web that it's easy to understand how the characters sometimes lose sight of the big picture, get lost in their own office politics. I found myself admiring characters not for their bravery, or their physical attractiveness, or their virtues, but simply because they could manage to think clearly in spite of all the noise. This novel was first published in 1974. That it continues to be a well-known bestseller, has been dramatised to great acclaim not once but twice, and we're still having arguments about whether genre works can be great literature is embarrassing. I'd love to ask my British Moderns professor why it was left off the course syllabus. The Steel Spring, Per Wahlöö About two years ago, I went to see the Patti Smith exhibit at the Art Gallery of Ontario with some friends, and they brought along another friend I didn't know. After the exhibit we all had dinner together, and the conversation turned to books. 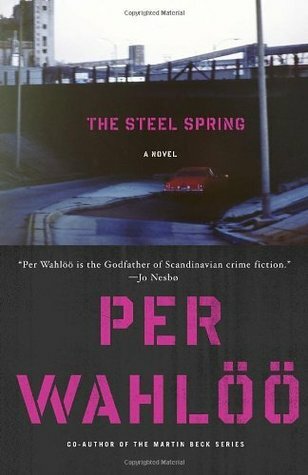 I mentioned I'd been working my way through Swedish crime writers, and the friend-of-my-friends recommended Per Wahlöö. I wrote down the name and didn't think much about it, until about a year later when I was at loose ends for a new e-book to read. The public library had this one available to borrow, so borrow it I did. Turns out this isn't quite a crime novel, although certainly several crimes get committed. It's a science fiction tale in much the same vein as the films Alphaville and Brazil, set in a fictional country which is a sort of not-Estonia. The country is a strongly bureaucratic state, which was probably formed with the intention of being socialist and wound up being more about complying with laws (there are lots of them) and filling out paperwork. The main character is a detective who, almost absent-mindedly, signs a government-mandated national loyalty card hours before he retires from the police force. He's retiring a little early, because he is seriously ill and needs to travel out-of-country for a difficult-to-get operation. He's not expected to survive. But he does, and spends much of the next three months unconscious. Finally awake and ready to return home, he discovers there are no flights back to his home country. In fact, there's no way to communicate with home at all. In the time he's been away, something very strange and terrible has happened. His new task is to return and find out what caused such a total societal breakdown so quickly. The reason why is cringingly plausible. The story has a lot of the bleak, dry humour I seem to like, which, coupled with its decidedly unflowery narrative style, made for a quick, but thought-provoking read. I suspect there are some sharp criticisms of 1970s politics in it which went flying right over my head, but I sort of felt the air move as they went by. Certainly recent current events have made topics like routine citizen surveillance and covert actions even more relevant again.